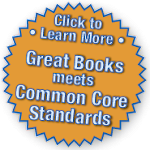 The Great Books Foundation Blog: What's the Big Idea? A while back, I was watching the Grammy Awards, and Lady Gaga was transported onstage via egg, and when the egg hatched there was Madonna. Later Mick Jagger came to the stage. He jumpin' jacked around the stage rocking out to “Everybody Needs Somebody to Love.” I turned to my wife and said, "Now that is a real rock star." So what do I mean when I say “real”? I am confident I can distinguish real from reality—I mean a reality show. A reality show pretends to be real. Reality shows have writers, and I never fail to see the small type in the credits that states that decisions were made by the judges in conjunction with the producers. So you know Michelle is going to stay on The Bachelor for a while because she creates drama. I was conducting a Shared Inquiry™ discussion of The Velveteen Rabbit with third graders and we were discussing this focus question: Why does the Velveteen Rabbit become real? During the course of discussion one of the young students said, "The Velveteen Rabbit isn't real, the boy only believes he's real." Is reality subjective or objective? 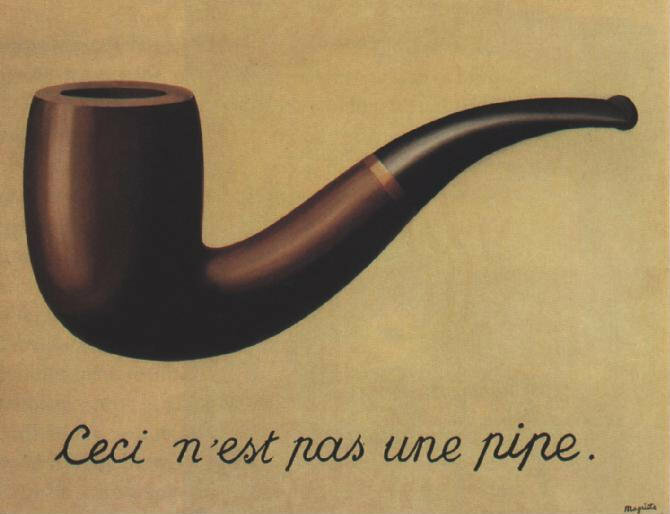 Magritte's painting The Treachery of Images illustrates the dichotomy between an object and a representation of an object. The painting is not a pipe, but rather an image of a pipe. I can't smoke it or smell the aroma of tobacco. Function seems to play a part in what makes something real. Real also has the sense that it is true, that it reflects the essence of a thing. Coke: It's the real thing. Mathematically a line already exists and the drawing of the line only makes it visible. Perhaps our third grader is on to something. Do we make things real by our belief or does our belief make them visible? My son is playing in the background as I write this. He is playing with his favorite stuffed dog he calls Dog. Dog has many functions—an evil villain, a superhero, a farmer, a secret agent. I can hear my son and Dog battling Ruffo (another stuffed dog of lesser importance). There is the thump thump of battle. It is quiet. My son has saved the world again. For real.